Strawberry Lassi is a great refreshing drink. Yogurt has numerous health benefits. It is an excellent source of calcium ,vitamin B-2, B-12, potassium, and magnesium.It is easier to digest than milk. Any lassi taste delicious when made with fresh yogurt instead of sour one's. Strawberry milkshake or Strawberry lassi can be made for quick, filling and yummy breakfast too and can brighten up you day in no time. 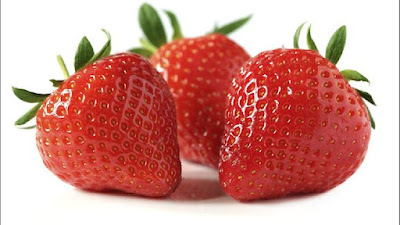 1) Rinse, and chop the strawberries, keep aside 1-2 pieces of strawberry for garnish. 2) In a blender or mixer add curd, milk and blend for 30 sec. 3) Add strawberries, sugar, crushed cardamom, cream (if using) and blend again with 2-3 mins with intervals to get creamy lassi. 4) Transfer in to serving glasses, garnish with strawberry pieces and serve immediately. 5) Refreshing ,filling ,yummy Strawberry Lassi is ready.